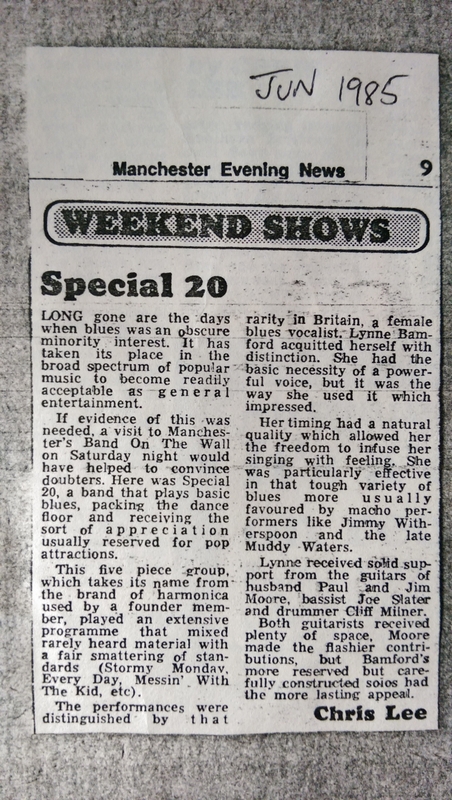 Review of Special 20 at the Band On The Wall, 1985 from the MEN. "Bamford's more reserved but carefully constructed solos...". That's because Paul copied them note for note from the record! I used to like both-I can remember we played the Philharmonic in Liverpool soon after you bought that Gibson 335 and being very impressed with your solos on Hear That Guitar Ring! Yeah... happy days. Can't play two notes in the same key these days!